Welcome to the first of what I hope to be many NSX troubleshooting posts. As someone who has been working in back-line support for many years, troubleshooting is really the bread and butter of what I do every day. Solving problems in vSphere can be challenging enough, but NSX adds another thick layer of complexity to wrap your head around. I find that there is a lot of NSX documentation out there but most of it is on to how to configure NSX and how it works – not a whole lot on troubleshooting. What I hope to do in these posts is spark some conversation and share some of the common issues I run across from day to day. Each scenario will hopefully be a two-part post. The first will be an outline of the symptoms and problem statement along with bits of information from the environment. The second will be the solution, including the troubleshooting and investigation I did to get there. I hope to leave a gap of a few days between the problem and solution posts to give people some time to comment, ask questions and provide their thoughts on what the problem could be! Of course, this is really only a small description of what the customer believes the problem to be. One of the key tasks for anyone working in support is to scope the problem and put together an accurate problem statement. But before we begin, let’s have a look at the customer’s environment to better understand how the new compute-b cluster fits into the grand scheme of things. Ever remove a cluster from your NSX transport zone only to see it reappear on the list of clusters available for disconnection? Unfortunately, the task likely failed but NSX doesn’t always do a very good job of telling you why in the UI. I was recently attempting to remove a cluster called compute-b from my transport zone so that I could remove and rebuild the hosts within. Needless to say, I ran into some difficulties and wanted to share my experience. Disconnect all VMs from logical switches in the cluster to be removed. ‘Unconfigure’ VXLAN from the ‘Logical Network Preparation’ tab to remove all VTEPs. Uninstall the NSX VIBs from the Host Preparation Tab. To begin, I used the ‘Remove VM’ button from the Logical Switches view in NSX. I removed all four of the VMs attached to the only Logical Switch being used at the moment. I saw a bunch of VM reconfigure tasks complete, and assumed it had completed successfully. I then went to disconnect compute-b from the transport zone called Primary TZ. After removing the cluster and clicking OK, the dialog closed giving the impression that the task was successful. Oddly though, I didn’t see the tasks related to port group removal that I expected to see. Sure enough, I went back into the ‘Disconnect Clusters’ dialog and saw the compute-b cluster still in the list. Unfortunately, NSX doesn’t appear to report failures for this particular workflow in the UI. 2017-11-24 18:50:13.042 GMT+00:00 INFO TaskFrameworkExecutor-3 VdnScopeServiceImpl$2:995 - New VDS (count: 1) is being removed when shrinking scope vdnscope-1. Shrinkingwires. com.vmware.vshield.vsm.vdn.exceptions.XvsException: core-services:819:Transport zone vdnscope-1 contraction error. This doesn’t tell us why exactly, but it seems clear that the operation can’t delete dvportgroup-815 and fails. In my experience, 99% of the time this is because there is still something connected to the portgroup. Since there were only four VMs in the cluster, and no ESGs or DLRs – I wasn’t sure what could possibly be connected. I even shut down all four disconnected VMs and put all three hosts in maintenance mode just to be sure. None of these actions helped. I then navigated to the Networking view in vCenter to have a look at the DVS associated with the compute-b cluster. In the ‘Ports’ view, you can get a good idea of what exactly is still connected to the distributed switch. To my surprise a VM called win-b1 was actually still showing as ‘Active’ and ‘Connected’ to the dvPortgroup associated with a Logical Switch! This dvPort state is clearly wrong – first of all, the VM was powered off so it could not be ‘Link Up’. Secondly I thought I had removed the VM. Or did I? Although I didn’t see any failures, it doesn’t appear that this VM was removed from the Logical Switch. Maybe I missed it, or perhaps it was a quirk due to the bug outlined in KB 2145889 where DirectPath I/O is enabled on VMs created with the vSphere Web Client. This was the only VM that had this option checked off, but despite my best efforts I could not reproduce the problem. Regardless, knowing what the problem was, I could simply disconnect the NIC and add it to another temporary portgroup. This adjustment appeared to refresh the DVS port state and then I was able to remove the cluster from the Transport Zone successfully. When in doubt, don’t hesitate to dig into the NSX Manager logging. If the UI doesn’t tell you why something didn’t work or is light on details, the logging can often set you in the right direction! Late yesterday, VMware made available NSX 6.3.5 (Build Number 7119875) for download. This is a full maintenance release including over 32 documented bug fixes. As you may recall, 6.3.4 was a minor patch release with only a few fixes, which is why 6.3.5 has been released so soon afterward. There are numerous fixes in this release that will be of interest to a lot of customers. Of special note are the fixes related to Guest Introspection – a feature leveraged by 3rd party AV and security products, as well as the IDFW. I was very happy to see that GI got front and center attention in 6.3.5. Along with some needed CPU utilization fixes, there is also a fix for issue number 1897878, outlined in VMware KB 2151235 that I’ve seen quite a bit of in the wild. This is a feature that we’ve sometimes manually disabled in older releases in very large deployments to improve 3rd party A/V scalability. The vast majority of customers don’t use ‘Network Introspection’ services, so it’s good to see that it’s now off by default unless needed. Those using Guest Introspection should definitely consider upgrading to 6.3.5. EAM generally hasn’t provided very descriptive statements in the ‘Not Ready’ dialogue, so this is also a very welcome change. And of course, the controller disconnect issue and password expiry issues are also fixed in 6.3.5. This obviously brings up a good question – should you still patch with the re-released versions of 6.3.3/6.3.4, or go straight to 6.3.5? I see no reason why you would not go straight to 6.3.5. Definitely have a read through the release notes – there are some real gems in there. I hope to get this deployed in my home lab sometime in the next few days! Author MikePosted on November 17, 2017 Categories UncategorizedLeave a comment on NSX 6.3.5 Now Available! New NSX Controller Issue Identified in 6.3.3 and 6.3.4. New NSX 6.3.3 Controllers will fail to deploy after November 2nd, 2017. New NSX 6.3.4 Controllers will fail to deploy after January 1st, 2018. Controllers deployed before this date will be prompting for a new password on login attempt. That said, if you attempted a fresh deployment of NSX 6.3.3 today, you would not be able to deploy a control cluster. The issue appears to stem from root and admin account credentials expiring 90 days after the creation of the NSX build. This is not 90 days after it’s deployed, but rather 90 days after the build was created by VMware. This is why NSX 6.3.3 will begin having issues after November 2nd and 6.3.4 will be fine until January 1st 2018. If you have already deployed NSX 6.3.3 or 6.3.4, don’t worry – your controllers will continue to function just fine. Having expired admin/root passwords will not break communication between NSX components. This issue does not pose any kind of datapath impact. It will only pose issues if you attempt a fresh deployment, attempt to upgrade or delete and re-deploy controllers. Until you’ve had a chance to implement the workaround in KB 000051144, you should obviously avoid any of the mentioned workflows. 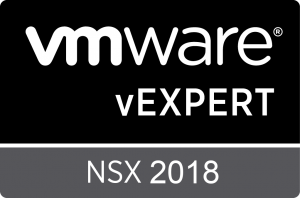 Important information about NSX 6.3.3: NSX for vSphere 6.3.3 has been repackaged to address the problems mentioned in VMware Knowledge Base articles 2151719 and 000051144. The originally released build 6276725 is replaced with build 7087283. Please refer to the Knowledge Base articles for more detail. See Upgrade Notes for upgrade information. As an added bonus, VMware took advantage of this situation to include the fix for the NSX controller disconnect issue in 6.3.3 as well. This other issue is described in VMware KB 2151719. Despite what it says in the 6.3.4 release notes, only 6.3.3 was susceptable to the issue outlined in KB 2151719. If you’ve already found yourself in this predicament, VMware has provided an API call that can be used as a workaround. The API call appears to correct the issue by setting the appropriate accounts to never expire. If the password has already expired, it’ll reset it. It’s then up to you to change the password. Detailed steps can be found in KB 000051144. It’s unfortunate that another controller issue has surfaced after the controller disconnect issue discovered in 6.3.3. Whenever there is a major change like the introduction of a new underlying OS platform, these things can clearly be missed. Thankfully the impact to existing deployments is more of an inconvenience than a serious problem. Kudos to the VMware engineering team for working so quickly to get these fixes and workarounds released! Author MikePosted on November 10, 2017 Categories Control Cluster, News, NSX, UncategorizedTags Bugs, Controllers, NSX7 Comments on New NSX Controller Issue Identified in 6.3.3 and 6.3.4. Welcome to part 4 of my Building a Retro Gaming Rig series. Today I’ll be looking at some sound cards for the build. Back in the early nineties when I first started taking an interest in PC gaming, most entry-level systems didn’t come with a proper sound card. I still remember playing the original Wolfenstein 3D using the integrated PC speaker on my friend’s 386 system. All of the beeps, boops and tones that speaker could produce still feel somewhat nostalgic to me. We had a lot of fun with games of that era so didn’t really think much about it. It wasn’t until 1994 that I got my first 486 system and a proper Sound Blaster 16. It was then that I really realized what I was missing out on. Despite having really crappy non-amplified speakers, the FM synthesized MIDI music and sound effects were just so awesome. And who can forget messing around with ‘Sound Recorder’ or playing CD audio in Windows 3.11! With all that in mind, it was clear that I needed a proper sound card for my retro build. But that really isn’t just a ‘checkbox’ to tick – on machines of this era there really was quite a difference between cards and to get the proper vintage experience I’d have to choose correctly. Debunking the VM Link Speed Myth! 10Gbps from a 10Mbps NIC? Why not? Debunking the VM link speed myth once and for all! I have been working with vSphere and VI for a long time now, and have spent the last six and a half years at VMware in the support organization. As you can imagine, I’ve encountered a great number of misconceptions from our customers but one that continually comes up is around VM virtual NIC link speed. I think that VMware did a pretty good job documenting the role varying vNIC types and link speed had back in the VI 3.x and vSphere 4.0 era – back when virtualization was still a new concept to many. Today, I don’t think it’s discussed very much. People generally use the VMXNET3 adapter, see that it connects at 10Gbps and never look back. Not that the simplicity is a bad thing, but I think it’s valuable to understand how virtual networking functions in the background. Today, I hope to debunk the VM link speed myth once and for all. Not with quoted statements from documentation, but through actual performance testing. Author MikePosted on October 30, 2017 November 6, 2017 Categories ESXi, Networking, performance, vSphereTags ESXi, link speed, performance, VMXNET33 Comments on Debunking the VM Link Speed Myth! Although NSX 6.3.x is getting more time in the spotlight, VMware continues to patch and maintain the 6.2.x release branch. On October 26th, VMware made NSX for vSphere 6.2.9 (Build Number 6926419) available for download. This is a full patch release, not a minor maintenance release like 6.2.6 and 6.3.4 were. VMware documents a total of 26 fixed issues in the release notes. Some of these are pretty significant relating to everything from DFW to EAM and even some host PSOD fixes. Definitely have a look through the resolved issues section of the release notes for more detail. On a personal note, I’m really happy to see NSX continue to mature and become more and more stable over time. Working in the support organization, I can confidently say that many of the problems we used to see often are just not around any more – especially with host preparation and the control plane. The pace in which patch releases for NSX come out is pretty quick and some may argue that it is difficult to keep up with. I think this is just something that must be expected when you are working with state of the art technology like NSX. That said, kudos to VMware Engineering for the quick turnaround on many of these identified issues! Author MikePosted on October 28, 2017 Categories News, NSX, UncategorizedTags 6.2.9, NSXLeave a comment on NSX 6.2.9 Now Available for Download! © vswitchzero.com, 2017-2019. Unauthorized use and/or duplication of any material on this site (including text, photos/images and video) without express and written permission from this site’s author and/or owner is strictly prohibited. Excerpts and links may be used, provided that full and clear credit is given to the author and with appropriate and specific direction to the original content.